Legacy Learning System's Award-Winning Learn & Master Home School Editions presents the highest quality DVD-based instruction on the planet. Courses include Gibson's Learn & Master Guitar plus courses for Piano and Painting! Learning Train provides high-quality educational games, children's books, learning toys, and fun activities for children. You can search for products by category, age, or price range. You will find sample pages of their books, and they offer several free activities that you can download. Offers a variety of Christian, wholesome, and educational DVDs, CDs, books, games, and more. NOTE: You need to create an account to access their site. Living Books Curriculum offers homeschooling parents curriculum packages and materials based on the educational philosophy of Charlotte Mason. The curriculum packages provide instruction in the traditional subjects such as history, language arts, and science and incorporate classic literature, nature studies, narration, storytelling, and the use of local resources to enhance the educational experience. Curriculum may be purchased by Grade or by Subject. MelissaAndDoug.com offers nearly 800 unique and exciting products to both engage and educate children of all ages. And with its exclusive Sunny Patch™ outdoor lifestyle collection, classic toys, and value-priced arts and craft kits, MelissaAndDoug.com customers will always find the perfect gift that’s fun and educational, too! My Father's World curriculum for Home Schools and Christian Schools combines the best of Charlotte Mason, classical education, and unit studies with a Biblical worldview and international focus. My Father's World curriculum utilizes hands-on, unit studies with daily lesson plans that are easy-to-teach, enables families and multi-age groups to learn together, and uses a comprehensive, sequenced learning program beginning with preschool through high school. A homeschool curriculum store that understands homeschoolers and provides homeschool curriculum and supplements including the NEST Animated New Testament, Animated Bible Stories and Animated Hero Classics series and many respected homeschool curriculum publishers like Saxon, Rosetta Stone and Math in Focus, for all subjects and grade levels. Notebookingpages.com specializes in providing affordable notebooking products to accommodate any subject and style of homeschooling. You will find that their notebooking products offer a variety of everything from layouts to the types of lines and number of lines on a page so that each product will fit a variety of children at the same time. You can purchase products individually or become a Treasury Member and gain access to all of their products. The Notgrass Company is family owned and operated and offers a variety of Christian curriculum, unit studies, and other homeschool resources. Paradigm Accelerated Curriculum specializes in providing individualized, character-laced, courses for grades 7-12. They are an award-winning provider of independent-learning curriculum in print and digital downloads to smartphones and tablets, enabling teenagers to go to school from their hip pockets, kitchen tables, grandfather's farm, or in dad's eighteen-wheeler. Discounts are available for single-parents, military, foster-caregivers, first responders, missionaries, pastors, and full time ranchers and farmers. Queen Homeschool Supplies, Inc. has a vast selection of books for the Charlotte Mason style educator. Browse by "Categories" to see the different series and subjects of the books they publish or by "Products" for a complete listing of each and every book that they publish. R.O.C.K. Solid (Resources of the Christian Kind) is a family owned business that has been serving the home school community for 15 years. Save on products like Bob Jones, Alpha Omega, Apologia, Horizons and Switched On School House. 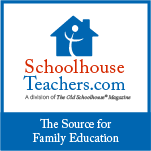 RainbowResource.com provides the best educational products to homeschoolers, parents, and educators. They currently carry over 40,000 quality educational products in all subject areas, for grades PK-12 and beyond! The Robinson's Self-Teaching Homeschool Curriculum is a combination of CDs and Saxon Math (purchased separately). Everything is printed and the course uses a self-teaching methodology. Rod and Staff Publishers offer affordable Bible-based curriculum and character-building storybooks, to help build a solid Christian education for schools and homeschools. These Bible-based textbooks by are designed to make the child God-conscious. This curriculum not only teaches the Bible but uses many illustrations of how Bible principles can be applied in everyday life. These quality textbooks take a traditional approach to schooling. Sadlier-Oxford publishes math, vocabulary, phonics, grammar and writing, and reading curriculum products. Products include Sadlier Phonics and Reading Program, Vocabulary Workshop, Grammar Workshop, Grammar for Writing, and Progress in Mathematics.